William Hill Live Casino is without a doubt one of the Best UK Live Casinos and one of the most well known gambling brands. Lets have a look at the basic requirements that casino players need to meet in order to enjoy a VIP service. If you fulfill the above criteria then William Hill casino team will contact you once they identify you as a potential VIP customer. So keep an eye on your inbox & look out an invitation to the exclusive William Hill VIP service. William Hill live casino is a very well known and popular online gaming destination for casino players. William Hill is a high street bookmaker, an online bookmaker but also a great online casino operator. 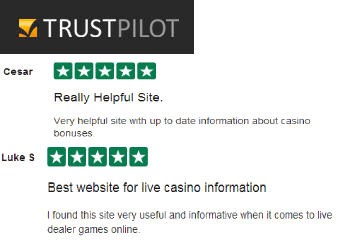 Players can enjoy plenty of casino products including not just one but two fantastic UK Casinos with live dealer games. There are also other casino sections like Vegas and Macau where you can find live casino games. These are games from the Playtech and Evolution live casino sections, so nothing new but still it’s great to be able to find live dealer games in every section of William Hill casino. 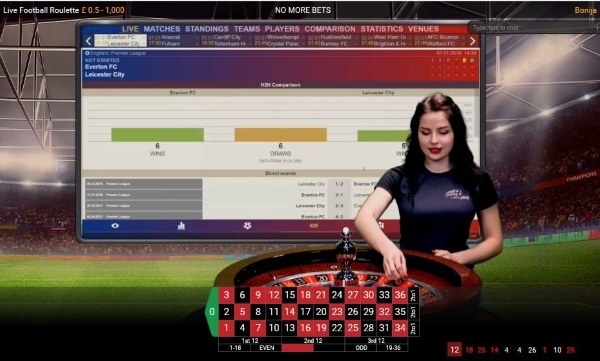 Let’s have a look at the two different William live casino sections. William Hill casino has a live dealer tab where players can find all their favorite games like live roulette, live blackjack, live baccarat and live casino holdem. Apart from the live casino at the William Hill Casino section, as we have already mentioned there is also the William Hill Live Casino! This is a live casino section with games from a different software provider, Evolution Gaming. William Hill Live Dealers Casino offers all the usual casino games, some customized tables like Vegas Live Blackjack and Vegas Live Roulette as well as all the latest additions in the live casino era like Immersive Roulette, Lightning Roulette and Three Card Poker to name a few. William Hill Casino has also another games section, theWilliam Hill Macau. This is an Asian/Macau themed section that players can enjoy a few different slot games as well as Live Blackjack, Live Roulette and a new Live Baccarat Squeeze table. So that brings the total of different live dealer sections at William Hill to three (four if we include the exclusive Mayfair tables!). But as we have already mentioned these are games from the WH Casino and Live Casino sections. William Hill Casino offers a great range of Blackjack tables and a variety of fantastic dealers so casino players can sit back comfortably and enjoy their favorite game. Apart from the usual Blackjack bets casino players at Vegas William Hill Live Casino can place side bets like Perfect Pairs and 21+3 (aka blackjack side bets). These two side bets are quite popular in the UK Casinos and apart from William Hill Vegas Live Casino we can also find them in a few land based casinos. In order to place a side bet, you will have to take a seat to play at a blackjack table and make sure that the side bet button on the bottom right corner is enabled. Once this button is enabled you can place Perfect Pair and 21+3 side bets! For those of you that are not familiar with blackjack side bets in Live Casinos, these are bets that blackjack players can place in addition to their regular bets. These bets are related to the value of the cards and different blackjack tables may have different side bets. The William Hill Live Blackjack tables include 21+3 and Perfect Pairs (PP) side bets. The 21+3 side bet is one of the most popular side bets in blackjack. This blackjack side bet is based on the first two cards the player is dealt and the dealer’s face card. If the combination of these cards is a straight, a flush, a straight flush, or a three of a kind, then the players wins. All winning hands pay odds of 9 to 1 regardless of the ranking of the winning hand. Perfect Pairs is a very simple blackjack side bet. A Perfect Pairs side bet wins if the first two cards dealt to a the player are a pair. This can be mixed pair i.e. a diamond and a club card, a colored pair i.e. a diamond and a heart card, or perfect pairs i.e. a pair of 2 diamonds. Different pairs pay different odds. Perfect Pair pays 30 to 1 – Coloured Pair pays 10 to 1 – Mixed Pair pays 5 to 1. You can checked the detailed pay tables on each game for odds on all bets. There are tho different live casino software providers that William Hill live is using on their site. William Hill’s casino is powered by the gaming giant Playtech which ensures the high quality of graphics. William Hill Live casino is available to play via the downloaded casino or via the flash version by login in at the website. William Hill Vegas Live Casino and Macau Live Dealer Games on the other hand are powered by the Live Dealer gaming giant Evolution Gaming. William Hill casino doesn’t only have real dealers 24/7 to play with but also has 24/7 customer support to assist you with any queries. Customer support is available via email, phone or live chat. William Hill casino has a huge range of other casino games apart from live casino games. The William Hill casino games collection is probably one of the largest we can find online. From slot games and virtual games to classic casino table games and scratchcards. The total number of casino games at William Hill is over 400 and the number goes up every month with new game additions. The games are scattered across the different William Hill casino sections. For example, under the casino tab there are over 150 slot games including popular Series like Age of Gods and Batman slots. Players can also find slot games based on popular TV programs and movies like American Dad, Family Guy, Little Britain and many more! In addition, within the ‘games’ and ‘Vegas’ tabs, players can find are even more popular slots from other major game providers. This gives players an enormous amount of choice of top quality slots. As well as slot games, there are more than 100 other William Hill casino games across the entire collection. There are more than 15 variants of roulette games such as Multi Wheel and Age of the Gods Roulette which features a progressive jackpot. There are also around 20 blackjack variants, including including Blackjack Surrender and Blackjack Switch.Other table games such as Sic Bo, Red Dog and Caribbean Stud Poker are also available. William Hill has also 18 video pokers variants to choose from, and 30+ scratch cards and arcade games. A few of the William Hill online games include progressive jackpots. With such an huge variety of casino games to satisfy every player there are also different betting limits to choose from. There are games with table limits low enough for those who want to play with the lowest of stakes, and maximum limits that will suit the most experienced high rollers. For example roulette has variants which allow a minimum bet of just 10p. At the other end of the spectrum there also roulette tables with maximum bets of £20,000.